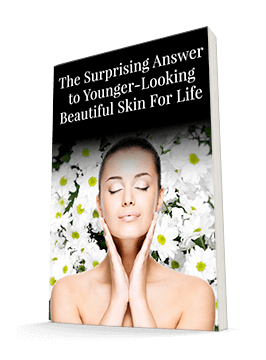 You want your skin to look its best. There are a number of products, techniques, and lifestyle choices that affect the appearance of your skin. There are products on the market now that are gaining a lot of attention. These products are skin bleachers. And you need to beware. Skin bleachers are potentially dangerous, especially if they contain harmful chemicals like high strength hydroquinone. You should never use these products, except under a doctor's supervision. Not only do they change your skin tone, they may introduce other health problems. The first set of problems actually results when the products work! Your skin contains melanin, which helps protect your skin from UV rays. The darker your skin, the more melanin your body produces. These products work by blocking the production of melanin. But without melanin, you're more susceptible to UV light, premature aging, and skin cancer. The hydroquinone can also react with the UV rays, creating spots of pigmentation on your skin. And it can break down collagen, leading to wrinkle formation. Finally, many of these skin lighteners contain steroids. If you use steroids for a long period of time, they can thin your skin, making it more vulnerable to bruises and abrasions. There are several natural skin lighteners worth considering. 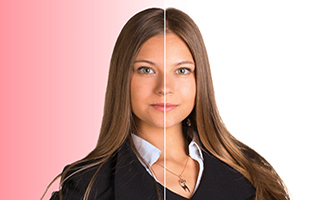 They work gradually and don't actually "lighten" your skin, but create a more even skin tone. For example, yogurt contains lactic acid, which has bleaching properties. Gently rub plain yogurt into your skin and leave it on for 10-15 minutes and rinse with warm water. My grandmother used to squirt a bit of fresh lemon juice into the yogurt. Interestingly, lemon contains citric acid and vitamin C, both of which can naturally lighten skin. If your skin is dry, you can add a teaspoon of honey to the mix and simultaneously moisten your skin too. Aloe vera gel helps to minimize hyperpigmentation and regenerate damaged skin cells. Apply the gel and leave it on your face for 30 minutes. Most aestheticians recommend doing this twice daily for two weeks in order to see a quick result. Topical pomegranate concentrate also exerts a notable skin-whitening and anti-wrinkle effect. Recent research suggests that the antioxidant effects of topical pomegranate extract can reduce skin aging. Système 41 has a new Vitamin C Serum that is another very safe and nutritious way to slowly even your complexion. I'll tell you more about the fantastic benefits of this serum in future issues of Skin Care Insider.